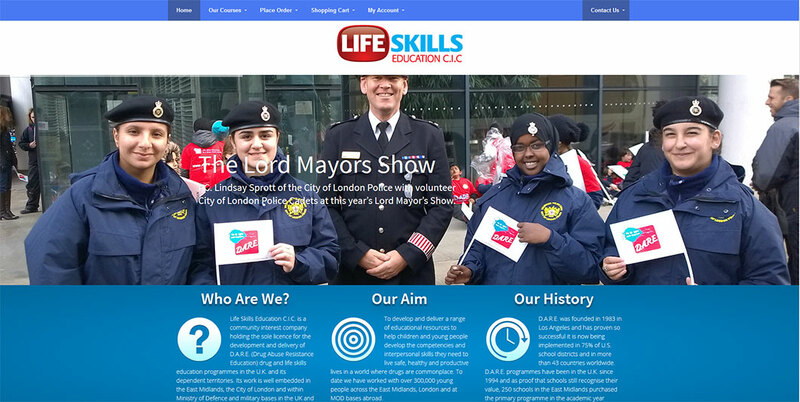 Development of the Lifeskills Education CIC website in collaboration with GWD Services. The site incorporates woocommerce and enables local schools to book Dare officers or request various course training books in a printed or downloadable form. It was built using pagelines DMS WordPress framework.